The University of the Philippines Library Science Alumni Association (UPLSAA), in partnership with the University of the Philippines School of Library and Information Studies (UP SLIS), will hold the 1st ALAM (Advancements in Libraries, Archives and Museums) Seminar with the theme“ALAM 2012: Organization of Information Resources and Converging Practices in Libraries, Archives and Museums” on 7-9 March 2012 at the Pearlmont Inn, Limketkai Drive, Cagayan De Oro City. Payments should be deposited to PNB Account No. 393635900016 (Acct. Name: University of the Philippines Library Science Alumni Association; Branch: UP Campus). 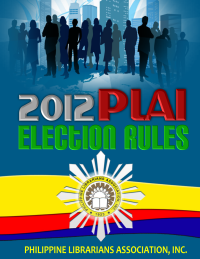 For more information about the Seminar, you may visit our website at http://www.uplsaa.net/. You can download this invitation, registration form and program of activities in our website. If you want an invitation letter addressed to you, please send us an email alam2012@uplsaa.net and we’ll be happy to send you one. We look forward to seeing you in this Seminar.